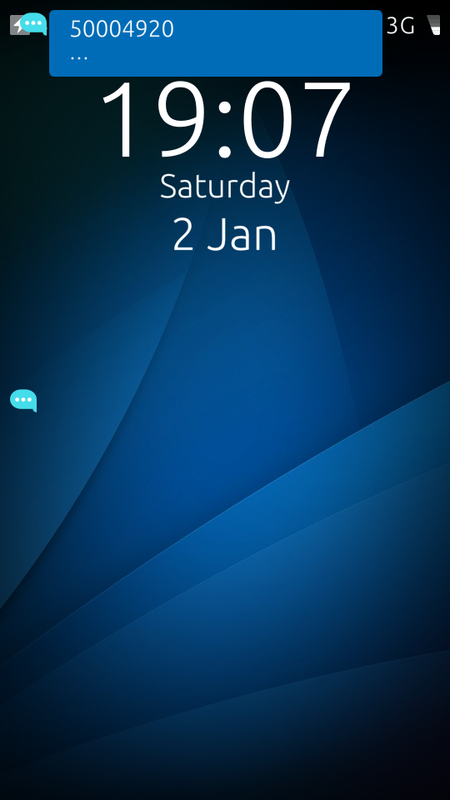 You can select to show notifications, but hide the body text when device is locked. It will show only the sender's name. You can choose to access the launcher when device is locked (if disabled quick access to camera) however, it won't allow to re-order or remove apps. 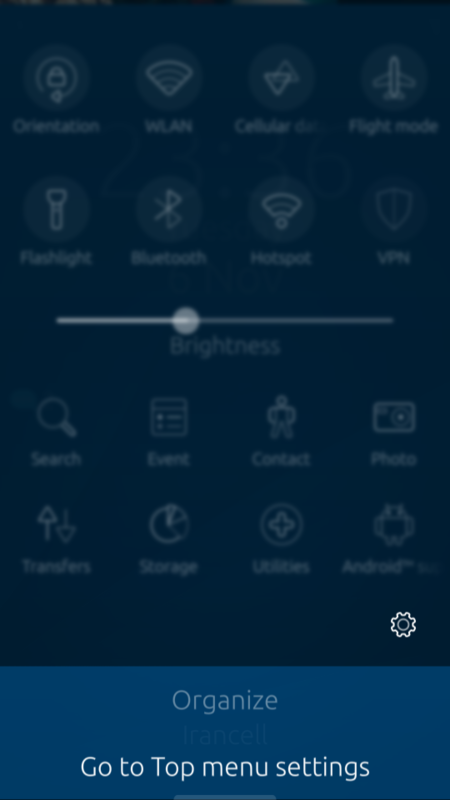 You can have access to connectivity switches on top menu when device is locked. It won't allow to re-order to remove items. On 2.0.2+, since there's an option to hide notifications when device is locked, you can use this patch just to hide the text preview while having the notifications enabled. On 2.0.0 and 2.0.1, v0.1 fixes a security bug by hiding message preview of notifications when device is locked. When device is locked it will show "…" instead of notification body text; it will show the notification but only with the sender name. It won't disable app notifications nor display wakeups. It also shows sender's name, just replaces body text with "…" on device lock for privacy concerns. 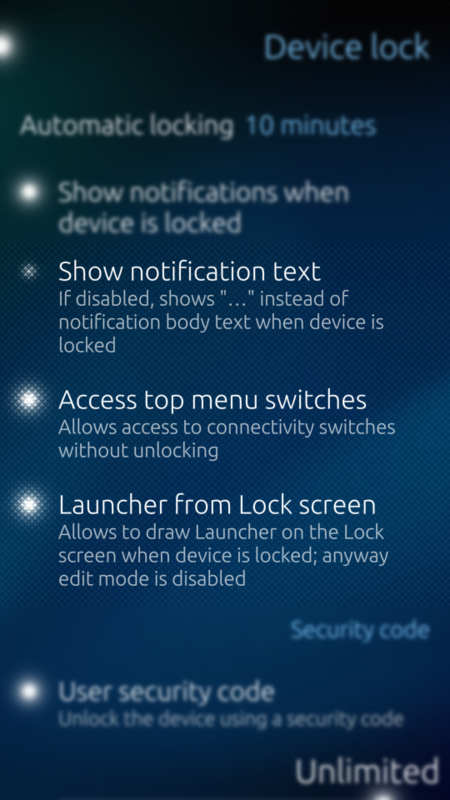 Merged "Launcher on device lock"
The Patch "No notification preview" conflicts (when applying in Patchmanager) with "Devicelock faith text" (and vice versa). I wonder, if this is really technically necessary, even though they are both patching the lockscreen, they are changing different aspects of it (the notification preview vs. an additional text). I would love to see them playing together nicely. Tested on a Jolla 1 phone under SFOS 2.1.0.11 with the recent versions of "No notification preview", "Devicelock faith text" and Patchmanager2. Oops, I just realised that "Devicelock faith text" offers to disable the notification preview completely. So there is clearly an overlap in functionality, and hence a conflict when applying these Patches in Patchmanager is logical. Sorry for my oversight and resulting confusion. Of course I agree. It will be great. Do you need me to share anything or can you extract it from the rpm? @Alina: [Patch "conflict hell"] Now I realised, that "No notification preview" also conflicts with "Improved notification preview" by Ingvx. Yes, I'm using improved notification patch either and unfortunately the conflict isn't resolvable. That patch removes a lot of lines and writes them from scratch. So you'd better to rely on the default option to disable notifications when device is locked. For me the patch can't be activated in SFOS 2.0.4.14. If this is only true for me there is no need to fix it. You may use another patch for device lock like "Devicelock faith text". In the new update (edit: I mean 2.0.2) the bug is fixed; but I don't like it, because I want to see in a glance who the sender is without unlocking the phone, so added an additional option.